I am a self-taught artist from Las Vegas, NV and have lived in Suwanee for the last 8 years. My journey into art began when I was very young. My mother created beautiful paintings and my father built furniture. My grandfather was always creating things out of metal. When I was 10 years old I went to an outdoor art festival when I bought my very first piece of original art. I had found a painting of the town I lived in and was so excited in what the artist had created. That artist worked with me so that I could buy the painting with my own money. That painting still hangs in my house to this day. 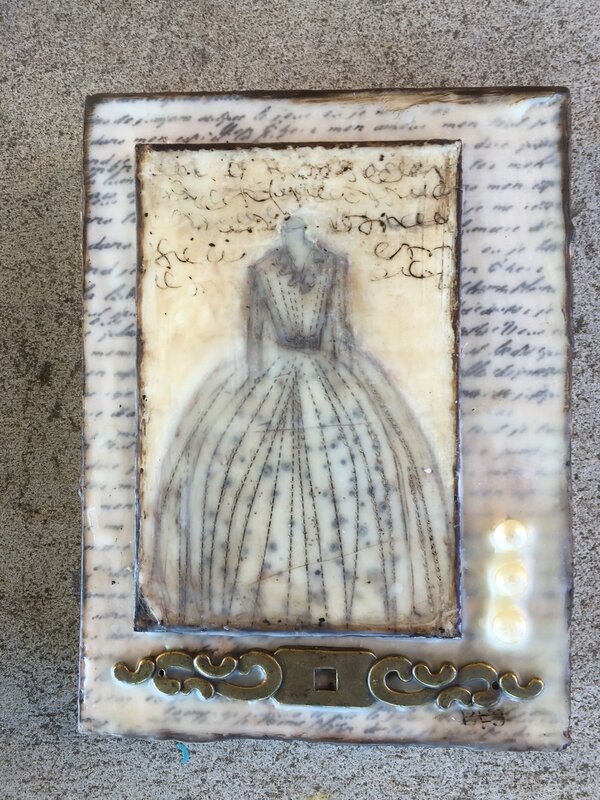 This journey, with its profound memories, has led to artistic explorations that include fibers, found objects, dress design and encaustic. Through these continued mixed media discoveries, a sense of purpose and inner truth emerge.